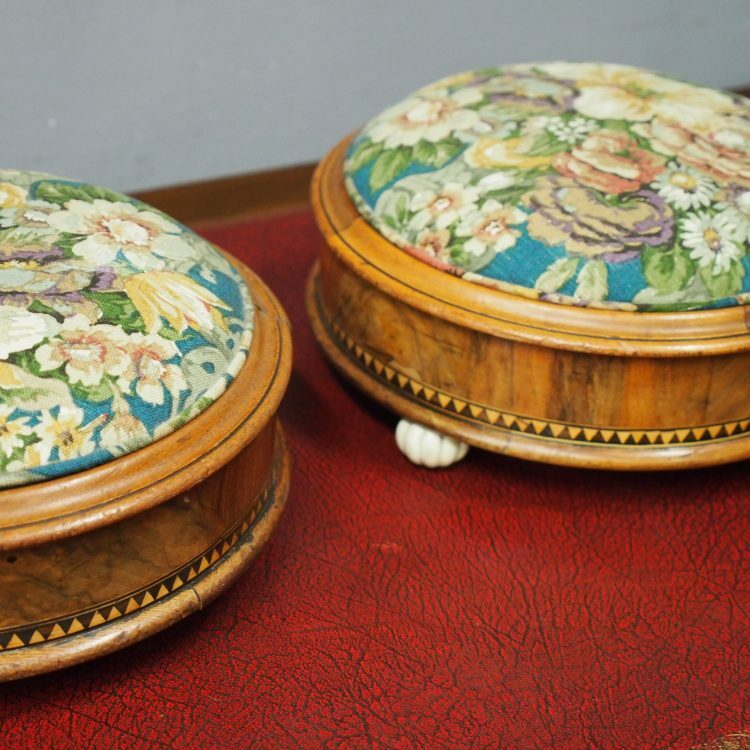 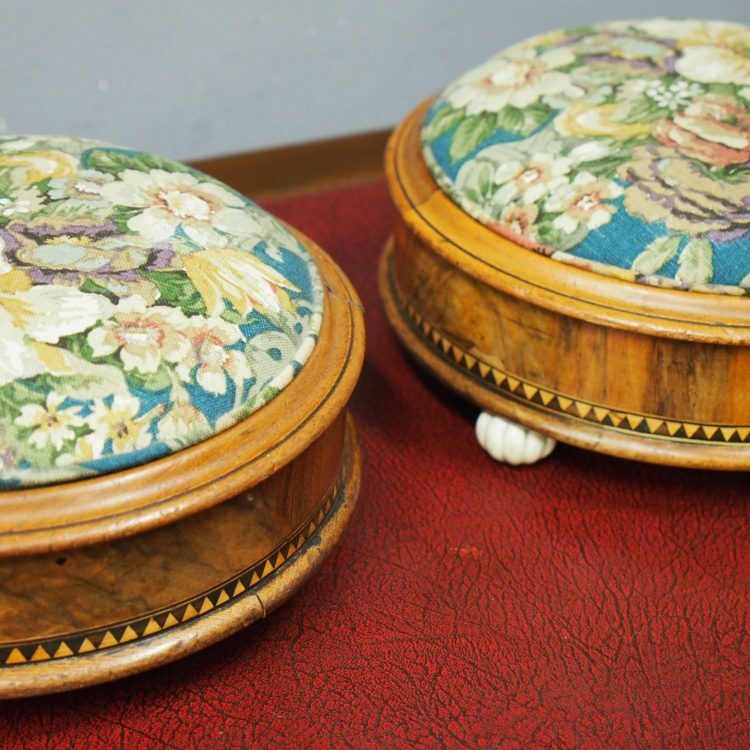 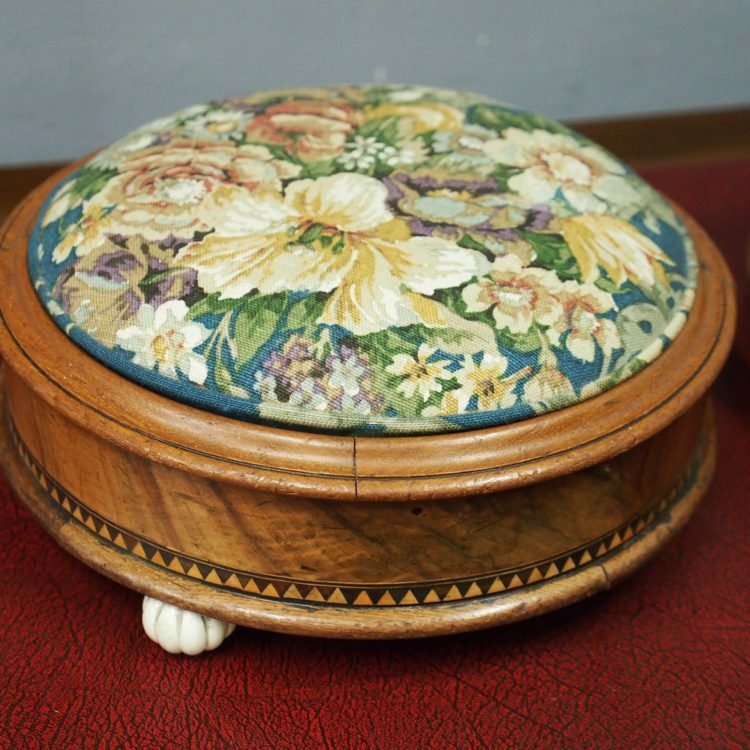 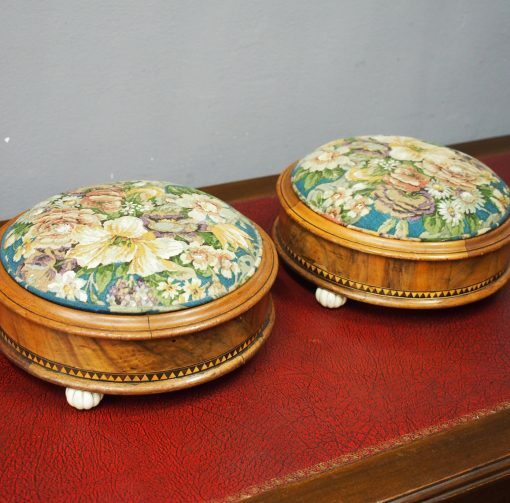 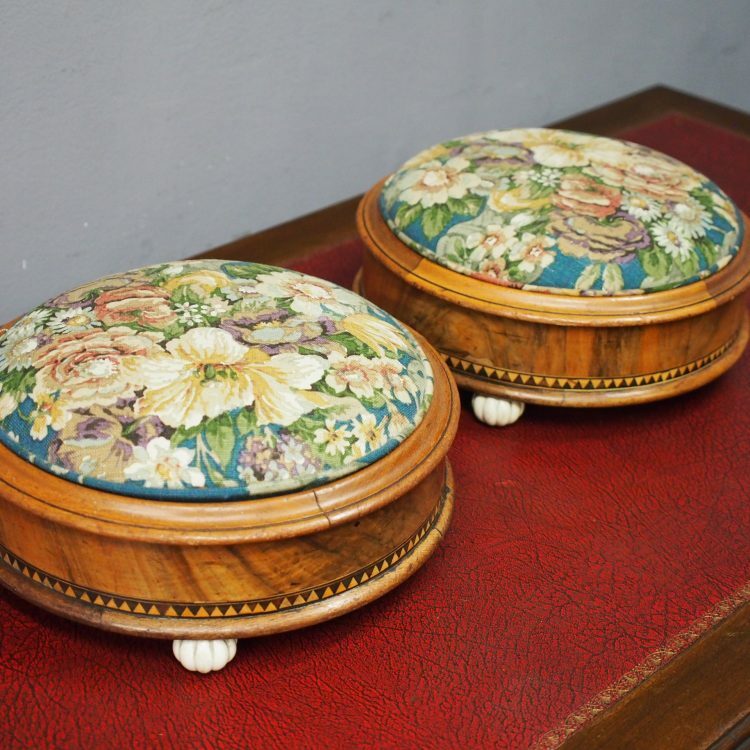 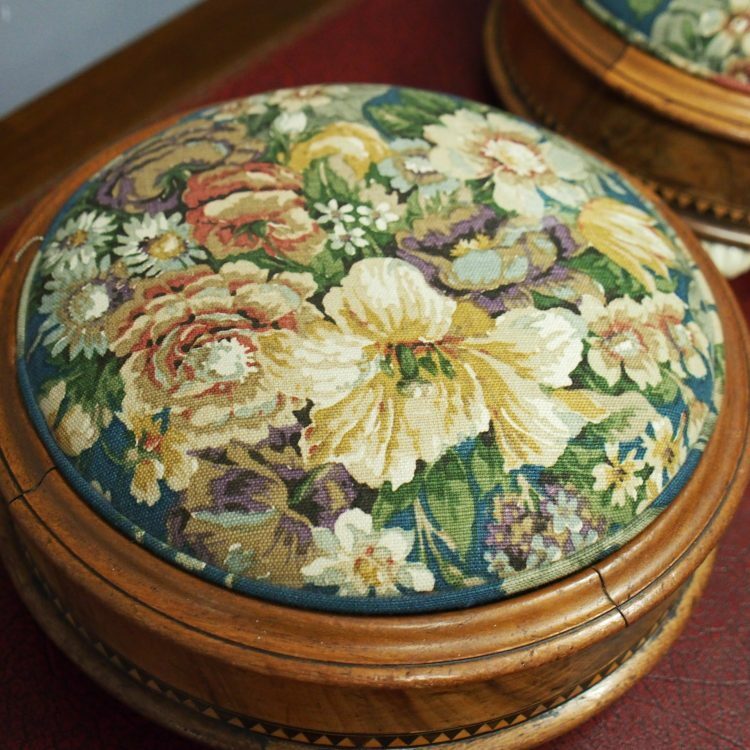 Circa 1870, unusual pair of circular walnut footstools. 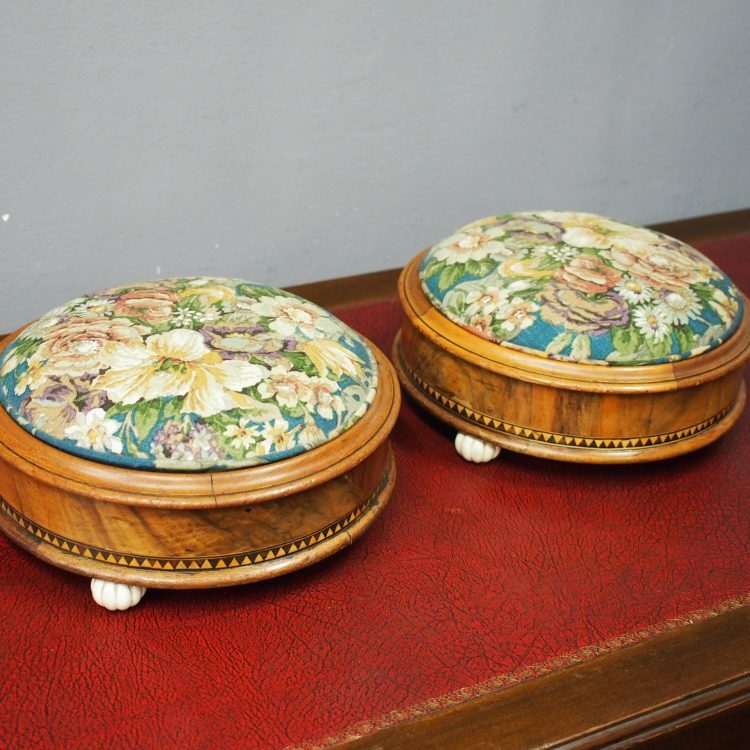 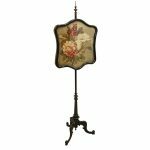 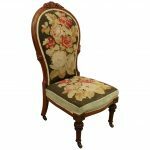 With upholstered, domed tops with piped edge and the sides veneered in walnut, they have a cross banded section with inlay towards the base. 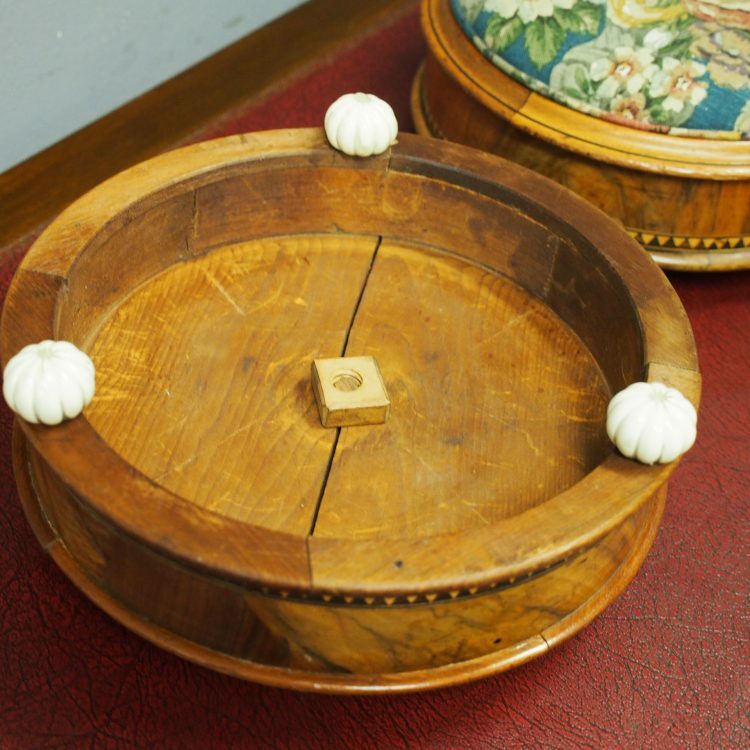 Beneath is a wooden screw holding the top in position and it stands on unusual white porcelain fluted feet.